An on-line ordering system is available to our current customers, as well as new customers who wish to set up an account or pay by credit card. 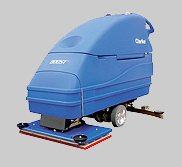 CLARKE BOOST AUTO SCRUBBERS-STRIP FLOOR FINISH WITH WATER! 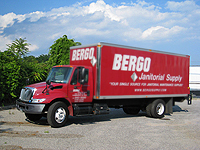 Bergo Janitorial Supply, Inc. is a full-line distributor of janitorial maintenance products, equipment and equipment repair. We have been serving the Long Island, New York Metropolitan Area for over twelve years. We have the experience to offer efficient and cost effective solutions for all of your janitorial maintenance requirements. We distribute the products of major national branded manufacturers. Cleaning Equipment, Paper Products, Cleaning Chemicals, Can Liners, Trash Receptacles, Mops & Mopping Equipment, Floor Matting, Brooms and Brushes plus much more, Thousands of products in stock. If you don’t see the item you are looking for in our Online Catalog, please contact us. 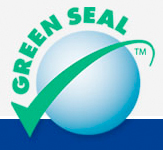 We stock GREEN SEAL CERTIFIED environmentally safe cleaning chemicals and encourage you to visit the “Green Cleaning” section of our web site. Our experienced Sales Representatives are available to meet with you at your site, survey your facility, make product recommendations and train your staff. Please contact us to set up an appointment. Our factory trained Service Technicians will repair any brand of equipment. Please visit our Equipment Service Department section for more information. UPS, Fed Ex or common carrier.